In the past two years, I have become a huge fan of slow cookers. And I try to make a slow cooker meal in the winter 3 times a month. The slow cookers comes in handy when I’m working outside of the office or we go on a day trip somewhere. There is nothing better than opening the door to the wonderful smells of a cooked meal. I’ll be honest I think it is really hard to find really good slow cooker recipes. I find a lot of them flavorless so when I find one I like I keep it. 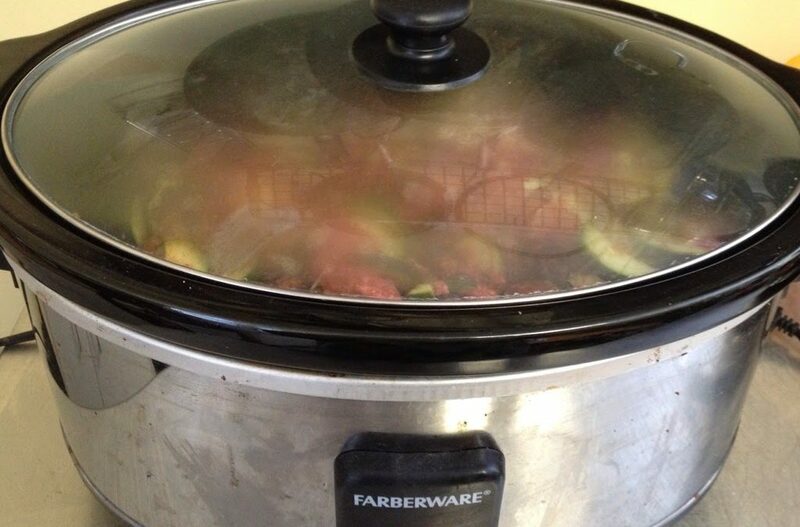 I first talked about slow cookers in my post, Food Snobs Can Use Slow Cookers, and I shared some yummy recipes. Since then I’ve come across some recipes I love. Pasta with Slow-Cooker Pork Ragu – I like to prepare this a day before I want to eat. It tastes amazing after the favors have blended. Slow-Cooker Black Bean and Zucchini Chili – You can use the leftovers and stuff peppers. So if you have a busy week coming up, I’d suggest trying one of these recipes. You won’t be disappointed.